Join the Chilean and American Chamber of Commerce of Greater Philadelphia for its 12th Annual “Experience the Taste of Chile,” an evening of authentic Chilean food and wine, rich conversation and celebration of the fruitful commercial and trade partnership between the Delaware Valley and the Republic of Chile. 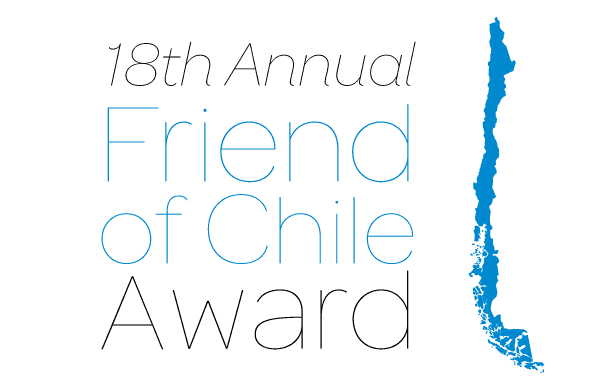 Don’t miss the opportunity to participate in this unique event and show your support for the work the Chamber does to continually strengthen the commercial and business ties between the Greater Philadelphia Region and Chile. Join colleagues, port representatives, and government officials to participate in an interactive experience reviewing the trade, technical, legal, regulatory and business issues affecting the import of Chilean fresh fruit into the Delaware River Region. The Chilean and American Chamber of Commerce is proud to participate in the British American Business Council’s Fashion Forward Fundraiser and Networking Event benefiting the Ronald McDonald House. The CACC invites you to an international fashion event at the world renowned, iconic clothier, Boyds Philadelphia. Spend an evening enhancing valuable business connections and shopping for global designer apparel, shoes and bags. All attendees will receive a special discount and a percentage of revenue will be donated to The Ronald McDonald House. 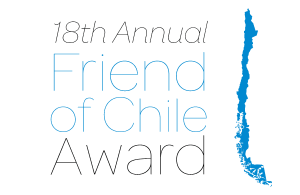 Please save the date to join us at our 18th Annual Friend of Chile Awards Luncheon to celebrate and recognize the strong and deep commercial, trade, cultural and diplomatic relationship between the Greater Philadelphia region and the Republic of Chile.